A used Porsche can represent a tremendous value or a significant drain on finances, but how to tell the difference? There is no such thing as a cheap Porsche. Beware the ‘once in a lifetime’ deals, as they very often are not all that they may seem to be. Depending on the year, model and condition of the car, the repair and servicing to bring a Porsche up to proper specific can be more than the entire purchase price. Before you buy a used Porsche, a simple Pre-Purchase Inspection (PPI) can potentially save you thousands many times over. Regarding PPIs: We do not help people sell Porsches, nor do we make specific recommendations on whether or not to make a purchase. We provide an honest assessment and information about that specific vehicle which may allow the buyer or seller to make a decision. Purely objective. 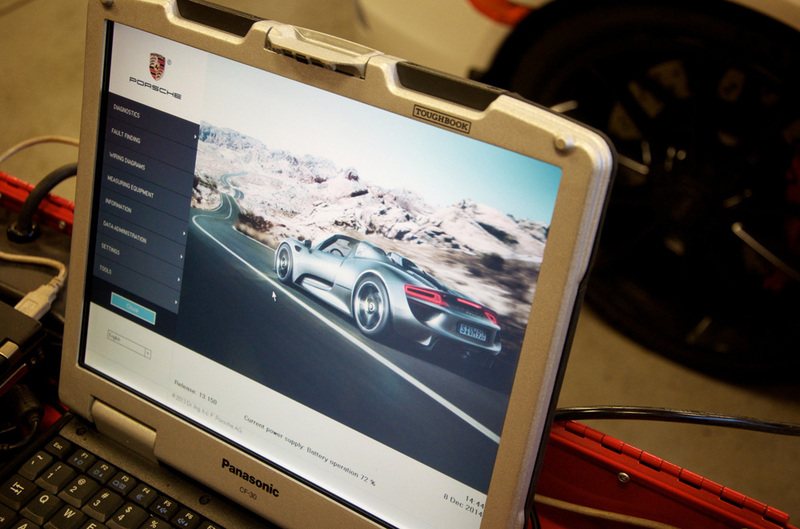 While this sometimes may result in information which isn’t what you are hoping to hear, we are being paid to be honest about accessing a Porsche’s condition, and we take that job seriously. Additionally it’s always important to think of these cars in terms of actual age. Many Porsches have been preserved better than most cars their age and appear to be newer, at least visually, than they actually are. Added to this is the classic and timeless 911 design, unchanged for so many years, which adds to this effect. It’s easy to forget that many of these great cars are 20, 30 or even 40 plus years old. It may be a Porsche, undoubtedly one of the most functional sports cars ever made, but everything needs service. Low mileage ‘all original’ examples often need items replaced on age, if not mileage and use and can be costly to bring back to a proper drive-able condition. Our staff is well connected within the Porsche community, and can provide knowledgeable shops/individuals around North America and Europe if your prospective purchase is outside the immediate area. Full computer system scan including DME for fault codes and other related information. Engine over-rev data (where applicable). Engine / vehicle operating hours (where applicable). Evidence of crash damage, paint or body work. Brake system condition and function including fluid. Suspension and steering system condition and function. Engine and transmission overall condition and function. Lighting system condition and function. Interior electrics condition and function, such as gauges, electric seats and climate control. Guidance on upcoming needs and future service items. Guidance on service concerns particular to that year and model. 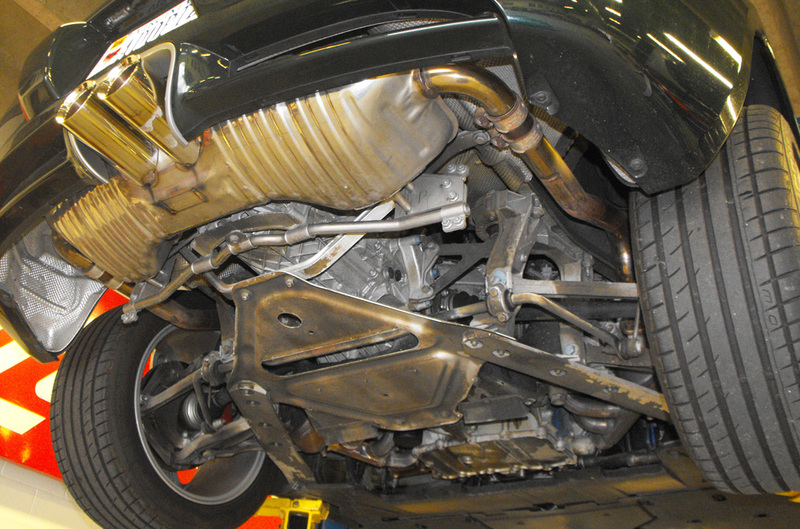 Accident damage, engine health and condition, severe service issues. There are a few key items to check which are a barometer for the overall health of the vehicle. 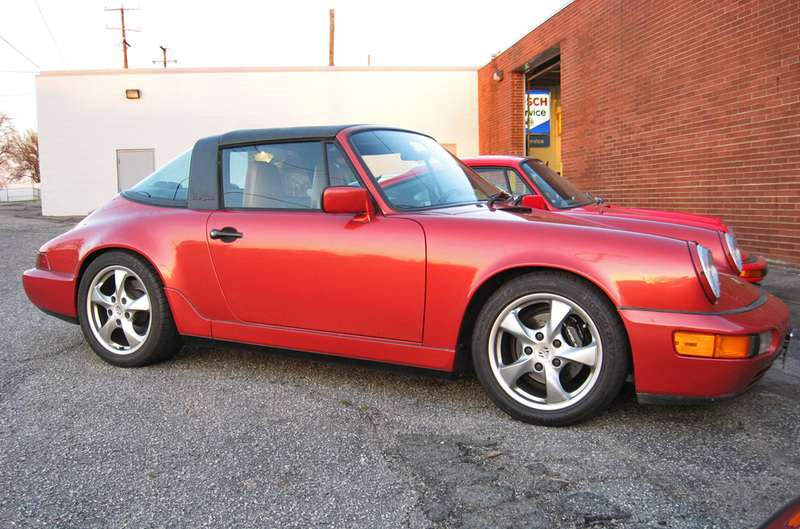 911SC cars for example, are very popular as a solidly durable and reliable air-cooled Porsche when cared for properly. However, an engine rebuild can cost as much as half or even equal to the cost of the car itself once you factor in parts, labor and many of the common variables. That ‘once in a lifetime deal’ can turn sour very quickly and the uniformed buyer will be stuck with some tough decisions. The water-cooled 986, 987 and 996 cars all offer outstanding performance for the dollar, but the sheer quantity sold and lower cost of entry means that many have passed through multiple owners, and the number with weak or incomplete service histories are plentiful. The penalty for deferred maintenance on any car is high, but on a Porsche even more so than your average sedan. The cost to bring a less-than-stellar late model 911, Boxster or Cayman back to proper mechanical condition can quickly escalate beyond what many plan for or expect. We know these water-cooled cars inside and out and can help you determine if the car you’re looking into purchasing is a keeper, or if you can do better. A PPI on a typical street car takes about an hour, includes a test drive, and thorough inspection of the car from top to bottom. On a modern Porsche this also includes a full vehicle scan on our factory PIWIS scan tool, as 996, 986, and 993s sometimes have their OBD lights (check engine, airbag, etc) disabled, and we can tell you why. On older cars such as 356, early 911 and 912 cars, where potential owners are concerned with matching numbers, we can remove door panels and the like to confirm or deny suspicions. The full list of what is covered is extensive, and includes many of the known common problem areas or more commonly overlooked items which we’ve learned about from years of servicing and maintaining these cars. Is the chassis straight, has it been repaired or clipped? Is the paint original? The list goes on. The market for just about every kind of merchandise has changed with the advent of the internet, and the buying and selling a Porsche is no exception. The PCA websites, the variety of web forums, Craigslist and of course eBay have opened the market to a worldwide audience. Chances are you found your potential Porsche online, and although not always, it can at times complicate matters. We often work with buyers and sellers of cars in our area as well as abroad. We can look at the car for you and give you a professional, independent and confidential report. While we will never make a firm do / don’t buy recommendation, we always provide an honest and fair assessment. Additionally, we work with several collectors. When considering a long distance purchase of a rare Porsche we can be consulted or arrange for an in person inspection of the car. We can also make recommendations on covered transportation services. 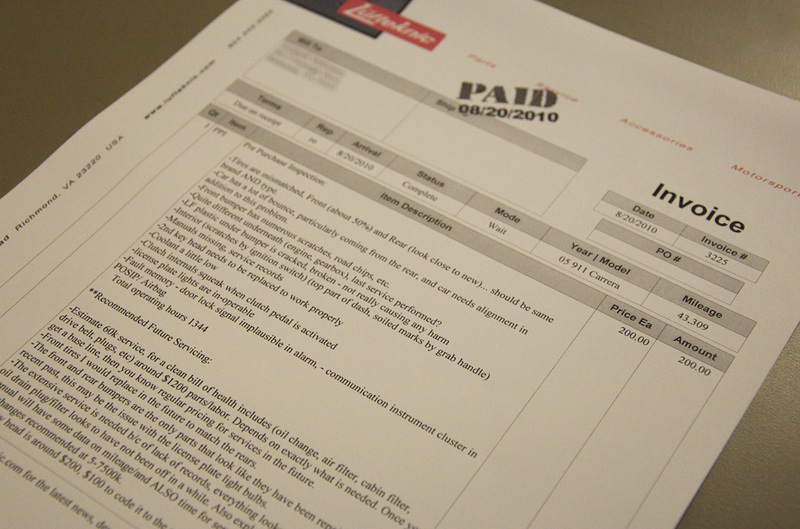 Fees for any of these services depend on the depth and breadth of the investigation. The base price for a Porsche PPI at Lüfteknic is $360 USD. If you are looking at a vintage Porsche car (which includes most air-cooled models), any vintage race car, or a car with historical provenance be it street or track, additional time and cost may be required to accurately gather the information needed to have a complete picture on the vehicle in question. We can also do a leakdown test if requested, and price depends on the model which you are looking to purchase. Late 3.6L air-cooled (964, 993) can take more time than the earlier 911 cars, just as air-cooled nearly always takes more time than those of the water-cooled variety. The mantra here is “A stitch in time can save nine.” By covering the bases before you buy, you can have a much more rewarding and enjoyable Porsche ownership experience. Time spent on the road is always preferable to being spent in the garage.